Look, I like what I’ve seen of Kyle Turris. He has a great attitude, he looks like an amazing skater, and his shot is deadly. He hasn’t looked out of place and he isn’t even fully adjusted to Ottawa’s system yet. But as I mentioned in my diplomatically titled reaction to the trade: it’s not about Turris, a player with boatloads of potential. It’s about what might have been received in exchange for David Rundblad. Rundblad was Ottawa’s key trading chip. A top flight prospect, highly considered by every analyst who’s bothered to make their thoughts on him public, who plays in the model of Erik Karlsson, who is currently thriving in Paul McLean’s system. Ottawa needed a second line center, there’s no doubt about that, and Bryan Murray cashed in his one golden chip. And now, two articles in one day on Puck Daddy: Anaheim is open for business, and Rick Nash would waive his no trade. Now, I’m not saying that Ottawa should pursue point-per-game Ryan Getzlaf, 25 year old three-time 30+ goal scoring Bobby Ryan, reigning Hart Trophy winner Corey Perry, or RICK FRIGGING NASH…wait, why wouldn’t we pursue those types of players? 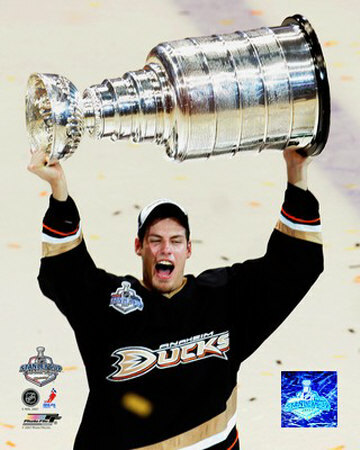 MVPs, scoring leaders, team captains, Olympians…in the case of the Anaheim players, each making reasonable salaries. Not to get all hysterical, but we’re talking about some of the best players in the league being available in an era when superstars rarely make it to UFA market, and when your team rarely has the cap space to acquire them. The only other way you get players like this is if you draft and spend years developing them. If they go on the block, even with Rundblad Ottawa might not have enough to trade, as each will command staggering returns. But the one thing I’m positive about is that without Rundblad, Ottawa is out of any race that develops, and for good. Look down Ottawa’s lineup, and what do they have to offer in exchange for high end players? Karlsson is untouchable at this point. Spezza is looking great, but it would be one step forward one step back to trade a top line center, even for another top line center. Michalek is playing well, and is a top six player, but might not qualify as the centerpiece of a trade package as his comfort zone is probably as a 20-25 goal scorer. Gonchar and Kuba were both written off at the beginning of the season as deadline dumps. Cowen figures huge in the franchise’s future. There are plenty of promising prospects in the system, but it would hurt too much to lose the most valuable of those, like Zibanejad. The Puempels and Noesens of the world are lottery tickets at this point. And then you’ve got the team’s 1st round pick, which could end up anywhere between top five and bottom ten at this point. Oh, and I guess this team could trade Turris. Apparently he can get you a player as good as David Rundblad and a 2nd round pick. My point being that trading any of the team’s best prospects or core players for a superstar leaves an equally big hole in the lineup down the road. Rundblad was expendable and valuable. He might have been the starting point of any trade discussion. Now, if this team is a part of trade speculation, it will be considering far more painful amputations to get it done. I know I’m in fantasy land here, but who would you prefer as a seconde line center: Kyle Turris or Ryan Getzlaf? I’m going with Turris, just based on youth, upside and that we’re rebuilding. Rundblad is NOT a core-type player. He may someday be, but he is not currently. Ottawa didn’t “blow it” with the Turris trade because whether Rundblad was on the team or not, they still don’t have the players needed to acquire any of the players you’re wanting. Well yeah, I meant Rundblad plus a core player. There aren’t any core players on the Sens right now that would get one of those three one-for-one. I understand, but I don’t think that there’s a core player we could add to Rundblad to get any of those guys, either. All we’ve got are Karlsson and Spezza. Like, what would we throw at Anaheim, Rundblad+Foligno? They’d be all over that, I’m sure.